Smartphones, tablets, computers, oh my! Whilst technology advances are at an exponential rate, there is still a huge market for laptops for all those busy people on the go, or just those who want to work in the quiet confines of a cafe or restaurant. So whether you are a businessman with important business or a student with a looming essay deadline we are going to count down the top 10 best laptop accessories for 2019. Seems logical right? A laptop bag for your laptop! Whilst some people opt to carry their laptops within a sports bag or backpack, we find it much easier, safer and convenient to carry it in a laptop bag. 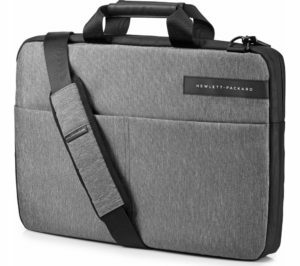 There are an abundance of shapes, sizes, and colours to suit everyone’s taste, allowing you to carry your computer in style. Always make sure you purchase a good quality bag, something which can last you a while and will provide you with all the necessary protection for those inevitable bumps and scrapes! Safety first!